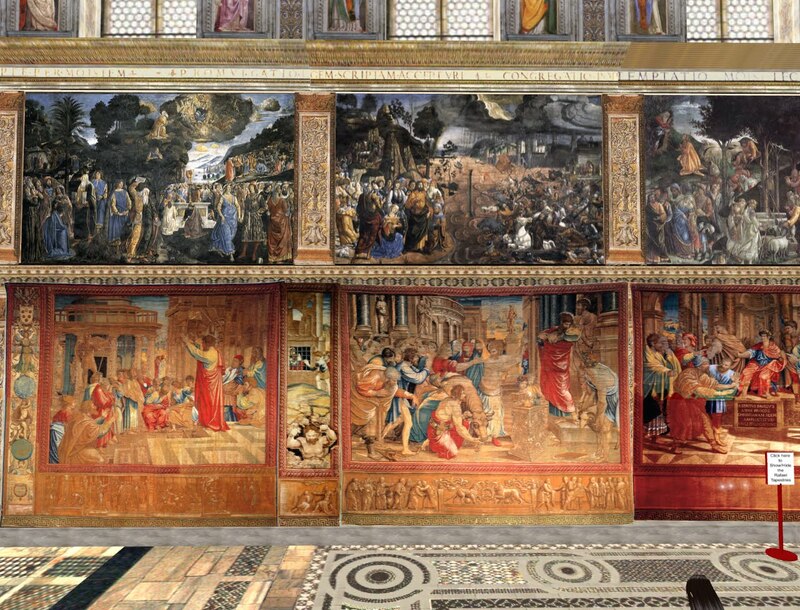 On this day in 1512 the new paintings on the ceiling of the Sistine Chapel were first reavealed to the public. Named for Pope Sixtus V, the Sistine Chapel challenges even the great basilica of St. Peter, its next-door neighbor, for global recognition. 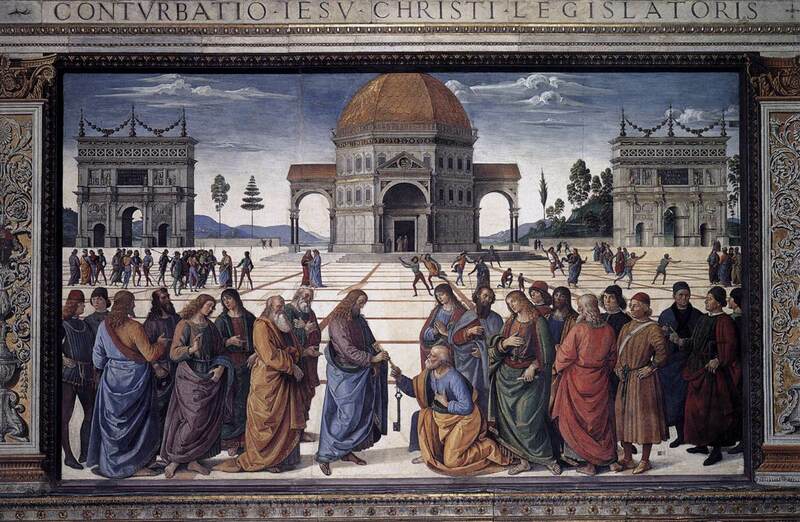 The chapel is a grand enough room all on its own (its dimensions believed to be those of the Temple of Solomon as described in the Bible), and ought to be, since it serves a number of Vatican functions, most famously, the election of popes. 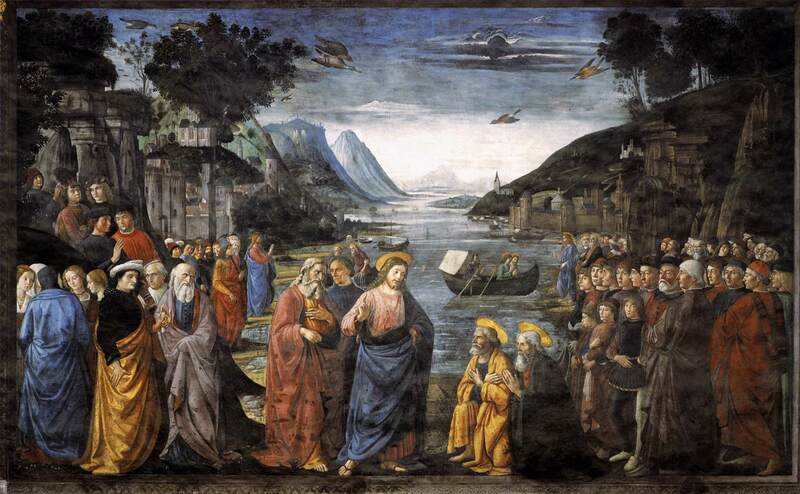 In the late fifteenth century its aesthetic character was improved through Sixtus’ remodeling via the talents of Perugino, Botticelli and Ghirlandaio, each of whom contributed panels on the side walls. A bit later, Raphael designed a series of tapestries (lost in the general looting in 1527, later recreated from the cartoons in London). The next pope continued the tradition of ornamenting the blank spaces in the chapel with one of the world’s great mural projects ever. 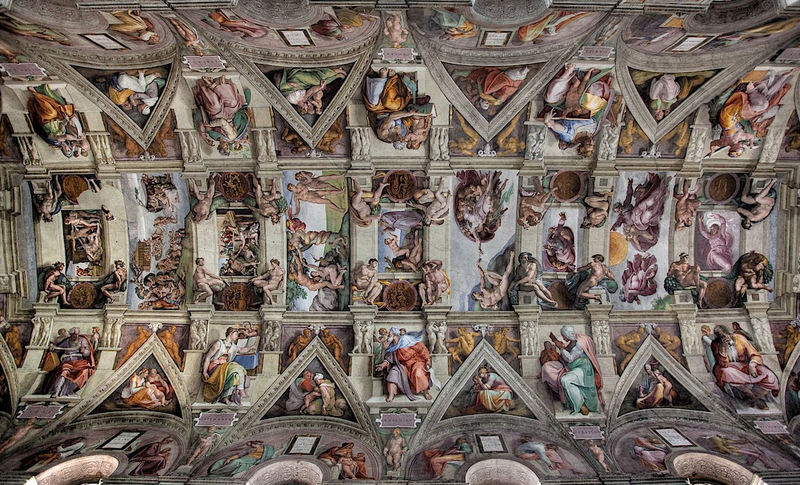 The most famous decoration in the chapel is, of course, the series of frescoes completed by Michelangelo: the altar end Last Judgement (1535-41) and more famously the ceiling–and if anything can outshine a Michelangelo Judgement, it’s 5,000 square feet of Michelangelo narrative spread all over a ceiling. Julius II directed the work starting in 1508 (when he was also busy overseeing Bramante’s work on the new basilica). 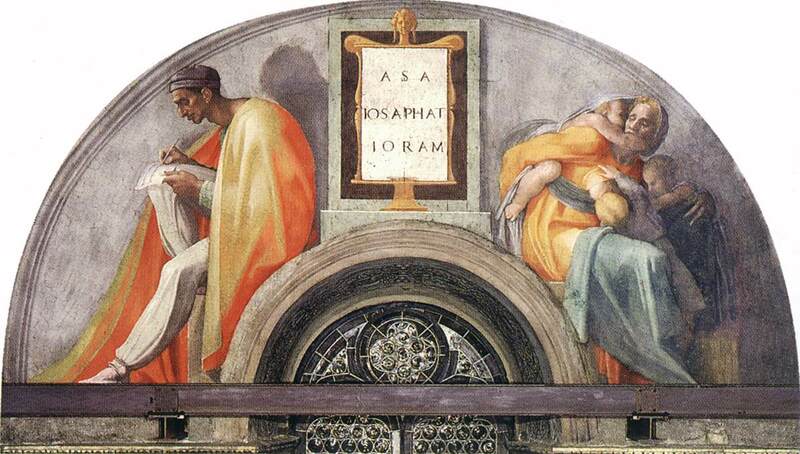 Over four years (with a significant and long breaking the middle) Michelangelo churned out the ancestors of Christ, prophets and sibyls and a long series of narrative scenes from the Book of Genesis. Not only is the room justly famous as a whole, but in it Michelangelo created some of Western art’s most enduring, beautiful, stunning, amazing, memorable images, including the Creation of Adam, so famous that one need only see one small portion to know exactly what you’re looking at. Not bad at all for a project the artist did not seek or want, and ultimately dismissed since, as a sculptor, Michelangelo believed that painting was just not his thing. Can’t get to Rome today? Take the virtual tour. You are currently reading November 01: “I Am No Painter” at Clio’s Calendar: Daily Musings on Architectural History.